The Ghana Bauxite Company has suffered a tax liability of over $3.5 million for transfer pricing and underselling of bauxite to its mother company Saite Mineral Group. An audit of the company account between 2013 and 2016 revealed a sale difference of over $9.6 million in transactions between Ghana Bauxite Company and its parent company in China. “The sales price of the company is which was sold to a related party. The world price then was slightly different that accounts for the difference in pricing,” the Commissioner in charge of operations at the Ghana Revenue Authority (GRA), Kofi Owusu told Joy News’ Kwetey Nartey. He explained that “if the mark up on the price of the product, for instance, is supposed to be $10 on the world market, it means that we get taxes on all the 10 but if related parties agree that they are going to sell to themselves at $5, it means the extra $5 we are going to lose up on that,” he said. 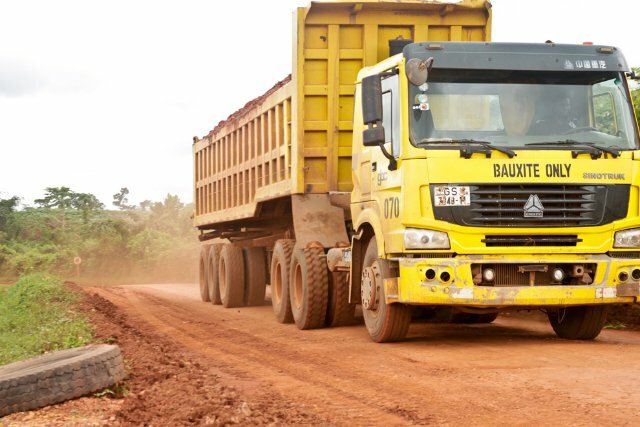 In 2018, Joy News investigations uncovered how the Ghana Bauxite Company evaded the payment of the penalty for overloading haulage trucks to the tune of more than $90 million over a period of six years. This was done in connivance with some officials of the Ghana Highways Authority (GHA) who operate the weigh-bridges. After a year-long investigation, Joy News’ Kwetey Nartey found that the state lost $22 million in 2017 year alone. Documents he obtained reveal that the company which is run by Chinese corporations through Bosai Minerals Groups in Western Region avoided paying over $8.2 million in 2012 for overloading haulage trucks with bauxite. 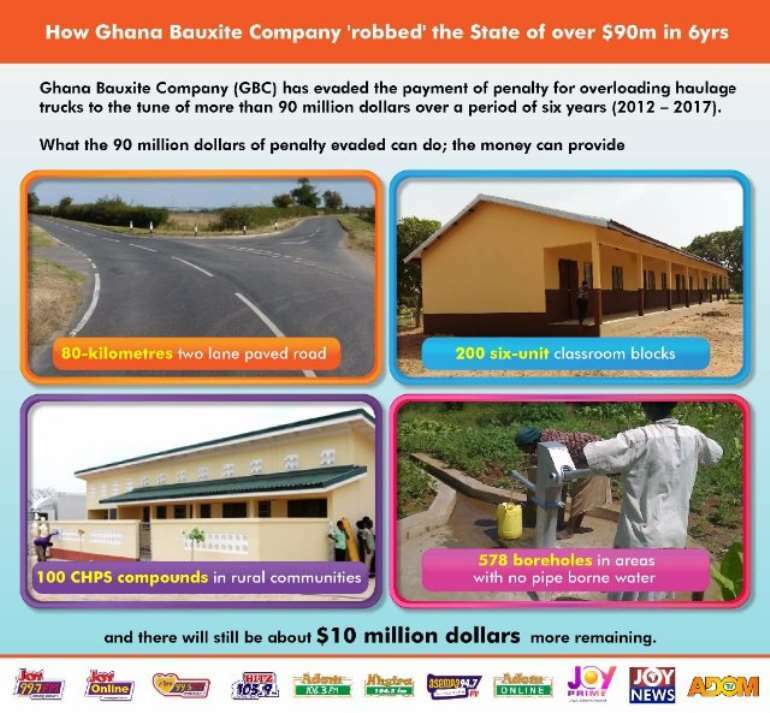 According to the tax audit report, the Ghana Bauxite Company failed to honour its payee which amounted to a liability of over $300,000. The GRA also noted that all the salaries of expatriates were low and also some of the expatriate employees are working in Ghana on behalf of the Bosai Group thereby avoiding payee taxes. After its computation, the payee tax and penalties were pegged at ¢1.2 million. Mr Owusu said such practices by multinational are widespread. “Things of this nature distorts market forces because if you undersell you ultimately become a monopoly since you are going to undersell those who are on the open market,” he said. According to him, such transactions do not augur well for the world economy because transactions are supposed to be determined by the forces of demand and supply and “not by the agreement between two related parties”. The GRA also found out that withholding tax records for 2013 and 2016 showed that certain payments to third parties for the supply of goods and services were not appropriately taxed. The charge for this act is amounted to over ¢500,000. The management of the company will not speak to Joy News.